Want a way to steal the show with the most adorable gifts of the season? 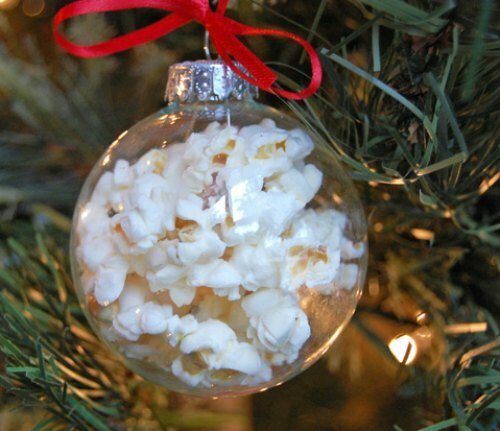 Create your own lovable homemade ornaments. One holiday staple of craft stores are the clear glass ball ornaments. Believe it or not, these simple finds are perfect for easy to make Christmas decorations. Think of all of the teacher gifts and present swaps these cute DIY Christmas ornaments would be perfect for. 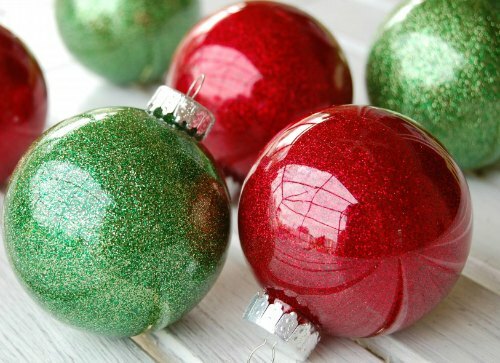 These glass ball Christmas ornaments should be on your annual holiday decoration list. One of the best ways to decorate a clear glass ornament is simply to fill them. The best part about this decorating method is it is completely up to your imagination. Also, this homemade ornament takes minutes to make all of your Holiday gifts. This is a perfect opportunity to not only make a Christmas ornament, but also a special keepsake. Whether you choose for this to be an ornament to capture sand from your vacation this year, or to hold your baby’s hospital bracelet, these ornaments can be much more than decor. 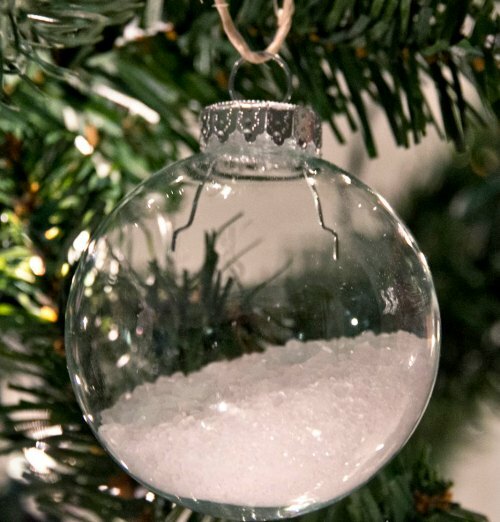 These simple, clear glass Christmas balls can easily turn into adorable homemade Christmas gifts. All you need for these charming DIY Christmas decorations is a glass ball ornament, small decorations, and some inspiration. The empty glass ball ornaments can be found at any large craft store. Also, you can always stock up after the holidays once they go on clearance. 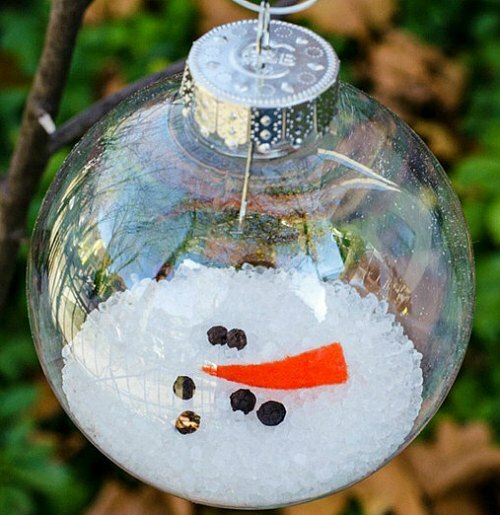 Below are DIY ideas to help inspire you on how to decorate your glass ball ornaments. DIY Christmas ornaments are always a fun homemade holiday decoration. I hope these easy homemade ornaments help spark your imagination to create your own! For more Christmas Home Decor, look at our Christmas wreath ideas to add even more joy to your home.